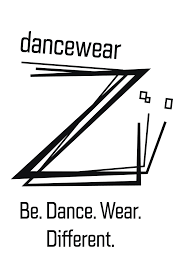 Order now the competition dance outfit of your choice among all the leotards and dresses proposed on the Mademoiselle Danse website. Several options are available to you so you can find the ideal competition outfit. In pastel tone, you can discover a large choice of colors (pink, white, blue, peach, and so on. ), models (with or without skirt, large or thin straps, with or without pattern), and also a large choice of brands. The leotard that will match with you is in this category, so do not hesitated! Si you need advice or if you have a question, you can contact us at 09 54 61 48 85 or by email contact@mademoiselledanse.com, we will be happy to give you our advices ! Empire dress tunic close on front.Long and very fluid chiffon dress.Thin straps leotard with rounded neckline front and back.Perfect dress for stage. Repetto dance leotard with thin double straps.V front neckline and deep back neckline with lace.Lace yoke on the chest.Lining under the chest. Mademoiselle Danse likes: beautiful lace. 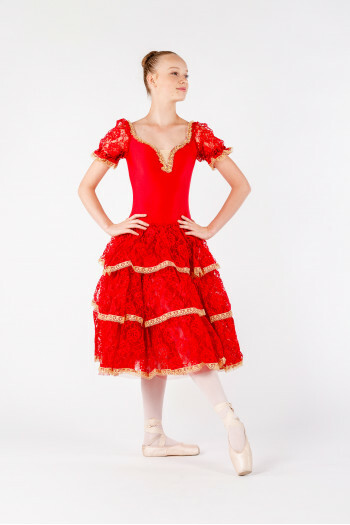 Very beautiful leotard balloon sleeves like a tutu body.Round neckline front and on the back.In mat lycra slightly bulky and large yokes in velvet like a corset.Lacing in silkBalloon sleeves in lycra mat adjustable.Perfect under a romantic bottom tutu like on the picture.Leotard sold alone. Entirely made in Italy. Pancake professional tutu in rigid tulle.6 tulle layers.Lycra leotard with sequins and gold mousseline.Entirely made in Italy.Flesh straps to adjust by yourself.Perfect tutu for the soloist roles. Pancake tutu in rigid tulle.8 tulle layers.Lycra leotard.Entirely made in Italy.Flesh straps to adjust by yourself.Perfect tutu for the soloist roles. Pancake professional tutu in rigid tulle.6 tulle layers.Lycra leotard with sequins and gold mousseline.Entirely made in Italy.Flesh straps to adjust by yourself.Perfect tutu for the soloist roles. .
Long tutu with 2 tulle layers.3 lace ruffles enhanced by gold braid.Lycra leotard with lace sleeves adjustables.Heart neckline.Entirely made in italy. Tutu semi-long.Skirt with 4 smooth tulle layers decorated with 3 silk braids.Lycra leotard and silk knot adorned by lace braids.Balloon sleeves in smooth tulle to adjust. Entirely made in Italy. Pancake tutu rigid tulle.6 tulle layers .Leotard in velvet with lace yokes and silk knots.Plateau with a braid.Balloon lace sleeves to adjust.Entirely made in italy. Pancake tutu rigid tulle.4 tulle layers .Leotard in black velvet with silk knots decorated with braid.Balloon smooth tulle sleeves to adjust.Entirely made in italy. Romantic tutu Giselle.Lycra leotard mat lined.Heart neckline front and rounded on the back.Balloon sleeves in smooth tulle.Flesh straps to set by yourself.4 smooth tulle layers. Length ankles. Entirely made in Italy. Sleeveless dance leotard.Officer collar and large back lace.Very elegant and delicate you will appreciate the symmetrical lace in the back.Fully lined in front.Lycra mate. This item is small, we advise you to take a size above your usual size. Mademoiselle Danse likes: powdered pink absolutely beautiful! Thin straps dance leotard. Neckline embellished with lace.Beautiful back. Full front lining. Cotton lycra. Dance leotard with thin straps.Cleavage in lace. Back nicely highlights with its straps.Front entirely lining.Mat lycra Mademoiselle Danse likes: the support of the lining. We feel very well maintained. Sleeveless leotard.Nice lace yoke front and back.Mat Lycra. This leotard is available for the adults. Mademoiselle danse likes: its elegant style. Short sleeve dance leotard.Beautiful lace yoke on the sleeves.Plunging neckline in the V-shaped back.Fully lined in front.Lycra Mat. This item is small. We advise you to take a size above your usual size. Mademoiselle Danse likes: her very classy cut! Dance leotard thin straps.Plunging V neckline with crossed straps.Lycra Mat.Mademoiselle Danse likes: its elegant simplicity! Dance leotard thin straps.Rounded neckline on the front.Back nicely showcased with her straps crossed.Entirely lined in front.Lycra mat.This item is small, we advise you to take a size above your usual size. Mademoiselle Danse likes: the leotard lined, it has a sheathing effect. We feel very well maintained. Dance leotard with long sleeves.Curved cleavage on the front and in the back.Flounce in tip on the front.Lycra mat.This item size small, do not hesitate to take a size above. Mademoiselle Danse likes: the little flying very "girly"! Short sleeves dance leotard.V neckline front.Back and sleeves in lace.90% Cotton - 10% elasthanne. Mademoiselle Danse likes : the lace ! ​​​ Spaghetti dance leotard.Gathered neckline in front and rounded in the back.Fully front lined.Exist in different color.Microfiber. ​​Mademoiselle Danse likes : the low price !